Can Lemons Get Rid of That Garlic Smell? We Tested It and Were Amazed by the Results! We're Keeping Plenty of Lemon on Hand From Now On! We just love cooking with garlic. It makes so many dishes taste so much better, not only Italian dishes like pasta, but also a wide range of soups and other recipes. And of course, who can imagine spaghetti without a nice side of hot, savory, buttered garlic toast? However, there is one thing about garlic we don't like, and that's the pungent, lingering aroma it leaves on your fingers after you handle it. Even after washing with soap and water, we can often still smell it hours after we've cooked! 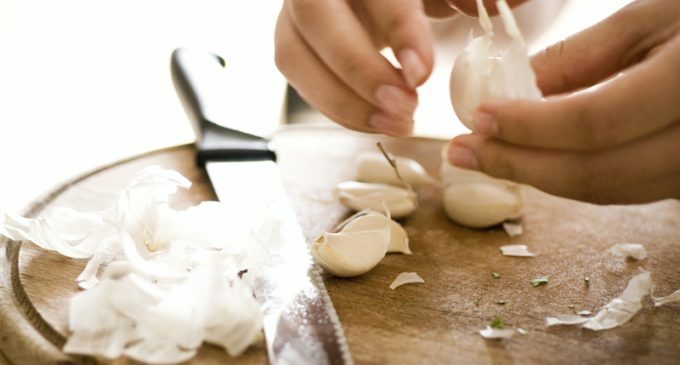 We're always on the lookout for tips and tricks that can help us cook more effectively and efficiently, which is why were so intrigued when we discovered a little-known method for getting that garlic smell off of your fingers just by using a little bit of lemon. We were skeptical at first; after all, that garlic odor does tend to stick around. However, after scouring the web to see what results other people have had with this method, we're convinced! To learn how to use lemon to get rid of garlic smell, please continue to Page (2) for the instructions. I love the odor of garlic… I would use it as an aftershave….